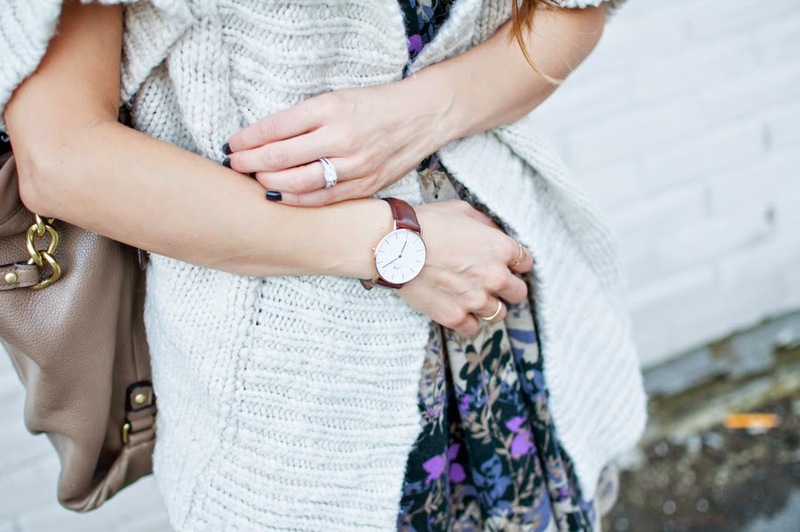 Holiday Gift Ideas + Daniel Wellington Discount Code | La Petite Noob | A Toronto-Based Fashion and Lifestyle Blog. Happy Saturday Noobs! I'm lazily enjoying the morning, browsing the remnants of Black Friday sales and starting to draft my Christmas shopping list. I don't know about you, but I always get a bit stressed out around this time trying to think of the perfect gift for my loved ones. That feeling of seeing someone you care abouts face light up when they open your gift is intoxicating, and I try to tailor my shopping list so I get that reaction every time. This year because I've enjoyed my Daniel Wellington watch so much, and because I keep on getting compliments whenever I wear it, my Christmas shopping is easy because it's watches for everyone! In all honestly, I've been really impressed with the quality of these watches, as well as the comfort - I can wear my watch all day at work without it becoming irritating, and it fits my petite wrist perfectly! Daniel Wellington has been super generous and has offered a special Holiday discount code for all of you - just put in Holiday_lapetitenoob to receive 15% off your entire purchase! They also offer free worldwide shipping, so as a Canadian gal I particularly appreciate that. What's on your Christmas to-do list? Sounds like a great gift!